TRUST SALE – SANTA MONICA – SUNDAY, MARCH 10@ 10:00 A.M.
SUNDAY, MARCH 10 @ 10:00 A.M. 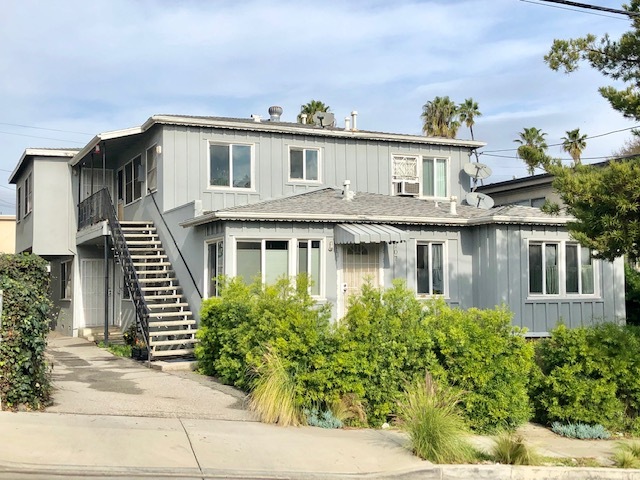 DESCRIPTION: GREAT OPPORTUNITY TO BUY 5 PRIDE OF OWNERSHIP UNITS IN SANTA MONICA, ONE OF THE MOST SOUGHT AFTER, DESIRABLE WEST SIDE BEACH COMMUNITIES AROUND. THE BUILDING CONSISTS OF (1) 2 BEDROOM, 1 BATH UNIT AND (4) 1 BEDROOM, 1 BATH UNITS. 5 COVERED CARPORT PARKING SPACES BEHIND BUILDING AND SEPARATE GAS & ELECTRIC METERS. WASHER/DRYER HOOKUP IN UNITS #2, #3, #4 & #5. LEASES & EXPENSES AVAILABLE UPON REQUEST. DO NOT DISTURB OCCUPANTS. NO COURT CONFIRMATION. UNIT #1 – 1 BEDROOM, 1 BATH $714.41 PER MONTH. UNIT #2 – 1 BEDROOM, 1 BATH $2,792.25. PER MONTH. UNIT #3 – 1 BEDROOM, 1 BATH $2,845. PER MONTH. UNIT #4 – 2 BEDROOM, 1 BATH $2,177.25 PER MONTH. UNIT #5 – 1 BEDROOM, 1 BATH $2,845. PER MONTH. LOT SIZE: 5,947± SQ. FT. INSPECTIONS: SUNDAY, FEBRUARY 24 & MARCH 3 (11:00 A.M.-2:00 P.M.) & ½ HOUR BEFORE AUCTION.